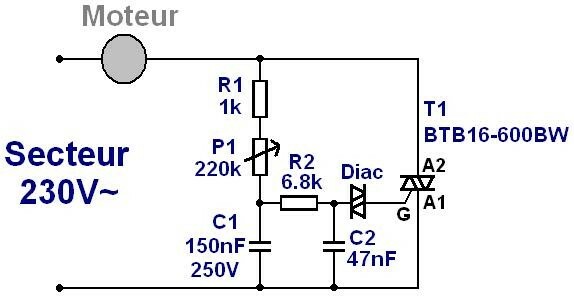 how to quickly realize the inverter 16A 230V motor. 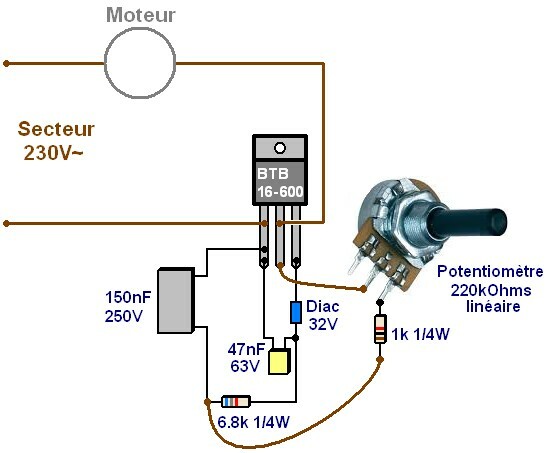 The two main components are the potentiometer and triac (mounted on a radiator or at least 30cm² 40cm²). BW suffix is important: it means that the triac does not need snubber (RC series for mounting between A1 and A2).